Shopping for a used vehicle on a budget shouldn’t be stressful. That’s why at Kia of Beavercreek we keep a stock of affordable used cars priced under $10k available at our Beavercreek dealership. Whether you’re shopping for a pre-owned Kia or another make or model, our inventory is sure to have what you’re looking for. Additionally, we offer a selection of featured used car deals to give you even more options when searching for a budget-friendly vehicle. Recent Arrival! This 2011 Chrysler 200 Touring in sapphire crystal metallic features. ***ONE OWNER NO ACCIDENTS***, 4D Sedan, FWD, 17" x 6.5" Aluminum Wheels, 4-Wheel Disc Brakes, AM/FM radio: SIRIUS, Power windows, Speed control, Steering wheel mounted audio controls, Telescoping steering wheel, Tilt steering wheel, Traction control. Odometer is 2135 miles below market average! 20/31 City/Highway MPG Awards: * 2011 IIHS Top Safety Pick Take advantage of HUGE savings! Call 937-237-1000 to schedule a test drive today! Price excludes tax, title, lic, and dealer processing fee of $250. 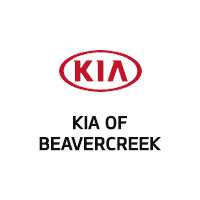 Why Buy a Used Model From Kia of Beavercreek? Regardless of your preferences, there is sure to be a pre-owned model that in our inventory that will match your driving needs. Browse our used car inventory online before making the trip from Xenia to our dealership for a test drive. You can even apply for financing online before stepping foot in our showroom to take some of the stress out of the car-buying process. Get ready to drive home knowing you got a great deal when you purchase a used car from Kia of Beavercreek!